Despite their Irish pub–like names, these spots don’t serve Guinness. 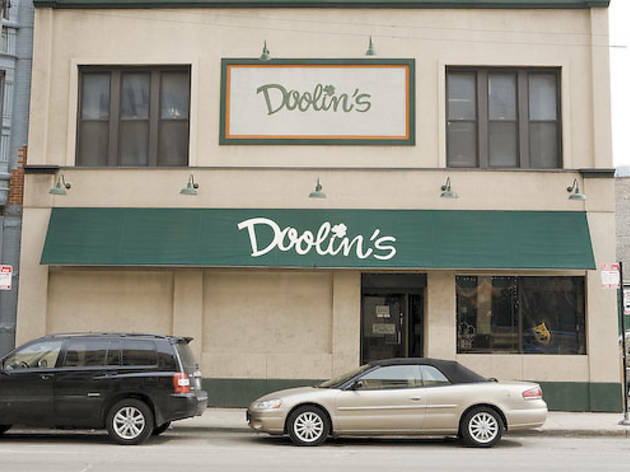 On St. Patrick’s Day a couple of years back, a group of students from UIC ambled into Doolin’s—past the green shamrock on the sign, under the green awning illuminated with green lamps—in search of Guinness and good cheer. They were shocked to learn that this place, which looks like an Irish pub and sounds like an Irish pub, didn’t have a drop of Jameson inside. “It’s happened a million times,” says Chris Doolin, owner of the undercover party-supply store. Try as you might this St. Paddy’s Day, March 17, you won’t find any dyed-green Miller Lite if you happen to stumble into the following pub-cousins. What it is A party-supply store that provides many local bars with green hats and novelty shot glasses for St. Patrick’s Day. Not to be confused with Dugan’s Drinking Emporium (128 S Halsted St, 312-421-7191), the Irish pub that those bewildered UIC students were looking for. What it is A photography/Web-design/video-production company based out of owner Clayton McLaughlin’s Wrigleyville home. 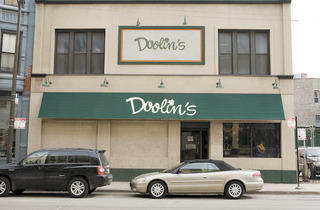 Not to be confused with Lincoln Park’s Irish Eyes pub (2519 N Lincoln Ave, 773-348-9548). What it is An alternative high school in the Pill Hill neighborhood on the South Side. Not to be confused with O’Sullivan’s Public House (7244 Madison St, Forest Park, 708-366-6667). A staffer explains “No, we’ve never been mistaken for an Irish pub,” says Sullivan House’s extremely confused Tiara Bosley, who’s more accustomed to fielding questions about hall passes and school lunches. What it is A knickknack shop where the genuinely Irish staff sells everything Irish. A staffer explains “I guess people assume that if it has an Irish name then it must be a bar,” says Touch of Ireland manager Annie Cremins, adding with her brogue that, yes, she sells bar supplies.